The rules for bringing food to the Sambadrome are unlike most other entertainment venues around the world. You are permitted to bring two (2) 500ml plastic beverage containers and two food items, like fruits, sandwiches or other snacks. Alternatively, there are fast food concessions located within the Sambadrome itself. 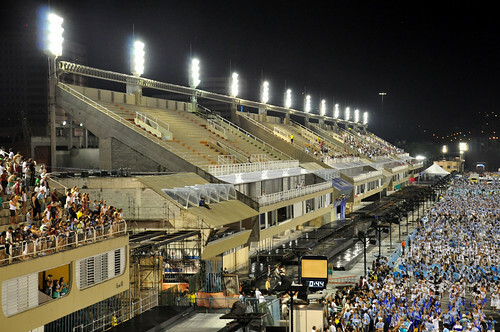 During the re-construction of the Sambadrome in 2012, more concessions stands were added to the sectors. However, the parade goes on all throughout the night, so bringing your own snacks is advised. Grandstand Bleachers? Cushion your seat. You are permitted to bring in pillows or cushions to pad the concrete bleachers of the grandstands. You could be sitting for quite a while, so you may find this to be a good idea. Keep in mind, however, that the Sambadrome parades are indescribably exciting events, so it is likely that you will stand most of the night. There are restrooms located in the Sambadrome. 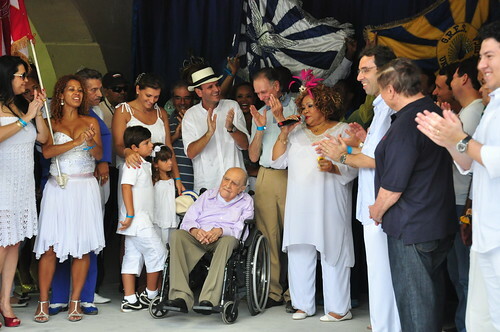 Additional restrooms were constructed along with the renovations to the Sambadrome in 2012. 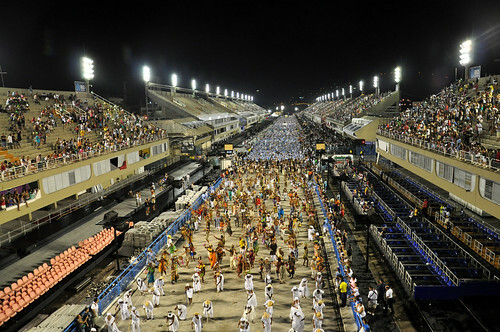 There will be 90,000 other spectators at the event that lasts until well into the next morning. It has been reported in the past that toilet paper runs out by the end of the performances; therefore, it may be advisable to bring an extra roll from your hotel with you just in case. 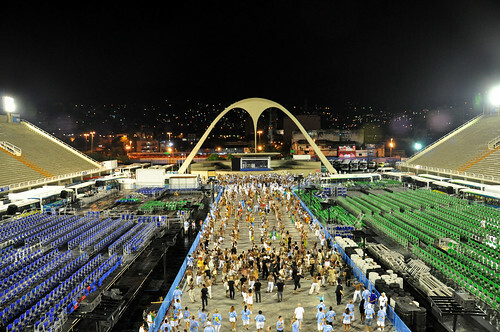 The Samba Museum is located in the Sambadrome at the end of the Samba runway under the grand arches of Apotheosis Square. 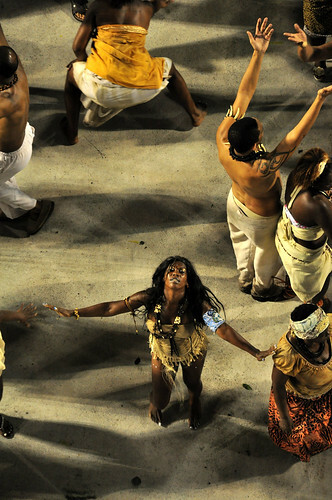 In the museum, you will discovery the history of Carnival in Rio. 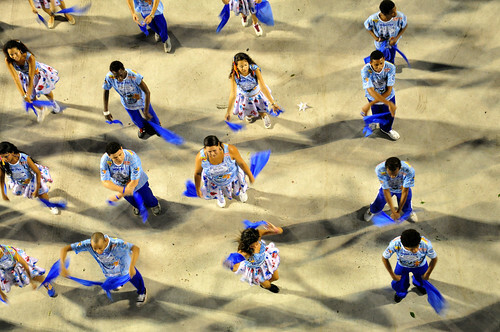 Dig into the past of Rio de Janeiro’s most famous Samba Schools. See how the samba traditions have evolved, with real life exhibits featuring old costumes and photos from the Samba Parades of prior years. 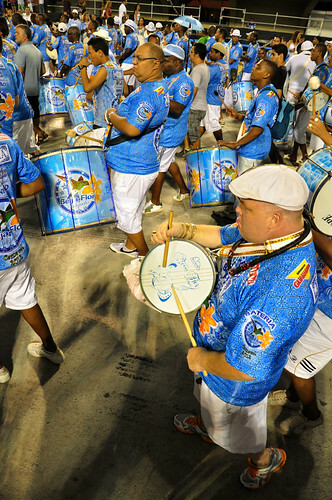 Purchase gifts from the Sambadrome, with items and souvenirs from the Samba Schools such as T-shirts and hats. The Museum of the Sambodromo is a must-visit, especially if you happen to be in Rio on an off period. You are encouraged to take your memories back home with you. Therefore, you are permitted to take any kind of pictures or video of the parade for personal use only. Unlike most other performance venues, flash is not a problem in the Sambadrome. You are also allowed and encouraged to bring binoculars to the Sambadrome Parade, especially if you are seated in the Grandstands. 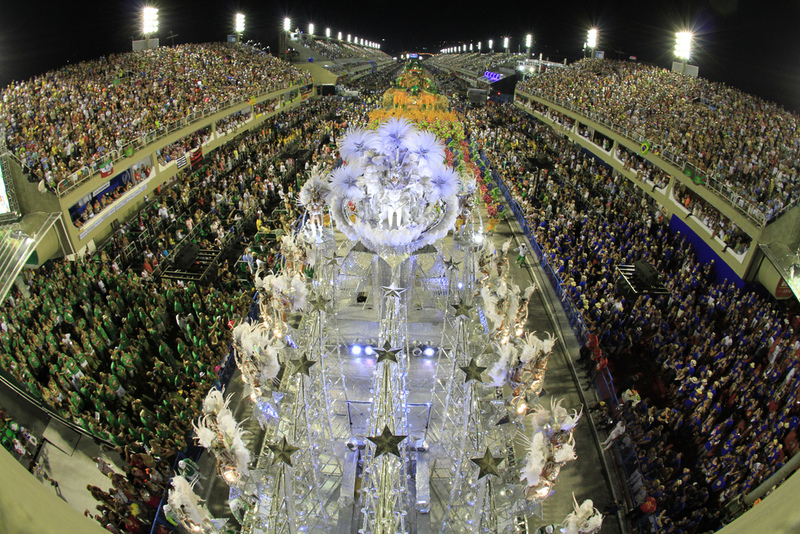 This can help you get a closer look at the magnificent details of the elaborate costumes and floats. 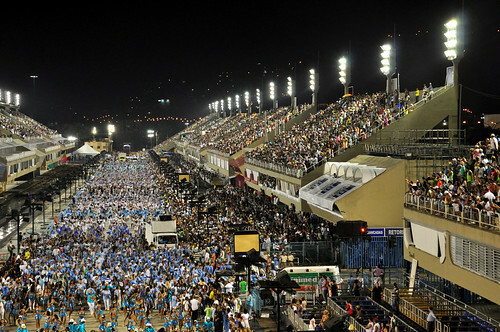 During Rio Carnival, the Sambodromo is widely considered to be one of the safest places on earth. There are gates and a large barricade that surrounds the venue. Furthermore, thousands of police officers and private security details are stationed within the walls of the Sambadrome itself. After all, the Sambadrome Parades are attended by celebrities, royalty, heads of state and many high-profile people from around the world. 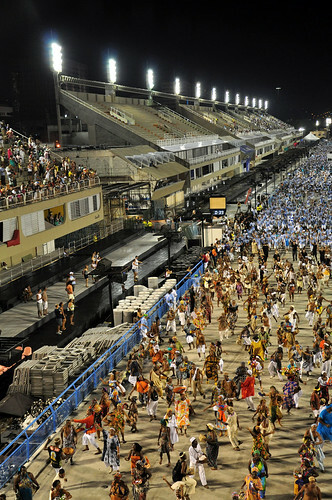 The renovations to the Sambadrome in preparation for the 2016 Summer Olympics included the installation of a new security room that went into effect for the 2012 Carnival. Objects that you are NOT permitted to bring into the Sambadrome include any items made of polystyrene, glass bottles, firecrackers and fireworks. The fireworks should not be an issue as there will be plenty of them to enjoy on Samba parade night. 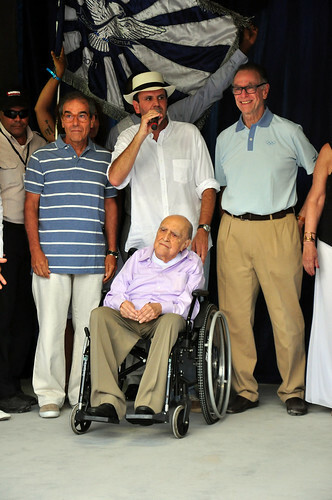 You are also not permitted to enter the Sambodromo with a personal cooler or bag. No weapons or cutting instruments are allowed into the Sambadrome. 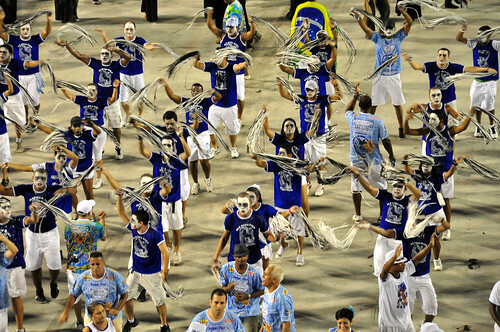 A discardable raincoat is permitted and encouraged due to the frequency of summer showers in Rio during Carnival. While umbrellas are permitted, they are discouraged as they can easily obstruct the view of those seated around you. 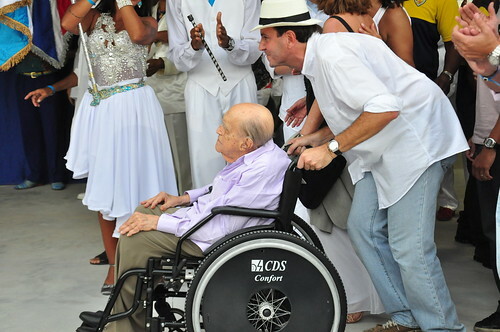 The 2012 renovations to the Sambadrome saw the installation of additional areas for persons with disabilities. Currently there are two designated handicap areas in the Sambadrome. 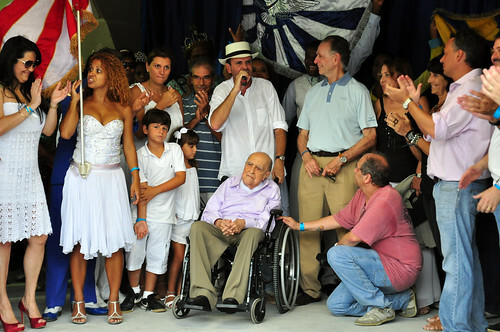 The first is located next to Apotheosis Square at the end of the Samba runway in Sector 13, with 270 seats for handicapped persons and an additional 240 spots for persons attending the parade with them. These tickets are free and distributed by the Association for Physically Handicapped People at Riotur or City Hall. The second location is in sector 4, with 25 designated handicapped seats and seats for those accompanying them. Only children aged from 5 years can watch the parade. Under that age they are not allowed to enter the sambadrome. Be sure to bring a document in order to prove. 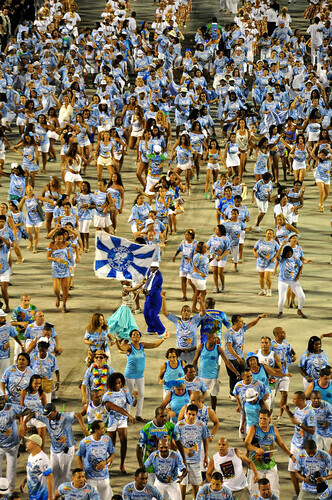 Rio Carnival Sambadrome tickets are only issued a week prior the Carnival in an effort to protect against misappropriation and duplication. Most Sambadrome tickets come in a plastic bag as one (1) ticket attached to a lanyard, with a small segment that will be collected at the gate. The second part of your ticket is required for entry. It is advised to leave your ticket in its bag until arriving at the gate. Once passed the gates, the lanyard must be worn for entry into your sector (section). 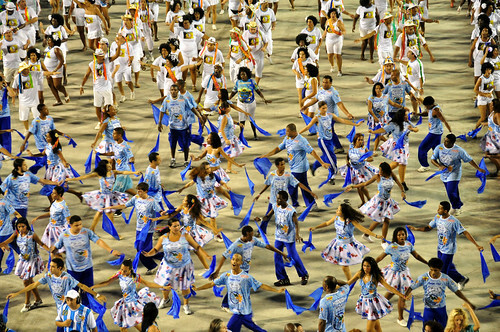 On Samba Parade Night, when do the doors open? The doors open at 6:00 PM on the day of a Sambadrome Parade. You are permitted to travel in and out of your sector freely. Re-entry is not permitted when you exit the gates of the Sambadrome. 1. Buy your tickets through a reliable source (RioCarnival.net, licensed travel agents and reputable hotels). 2. Never purchase tickets from scalpers outside the gates or from peddlers on any street corners or beaches. 3. Don’t plan on discounted prices or free admission after the parade has started. 3. Never purchase used tickets in the hopes that they will get you past the guards. They won’t. There is no official set of rules with respect to a dress code for the Sambadrome. 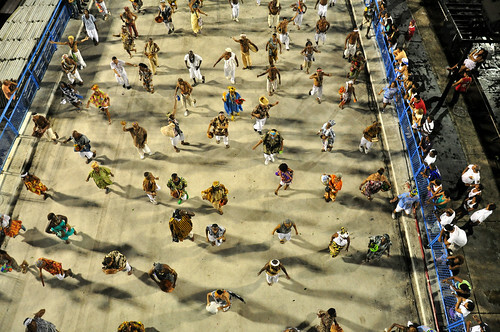 You are encouraged to dress like the local cariocas, but keep in mind that Rio Carnival takes place during the Rio de Janeiro summer, so it gets hot at this time of the year. Wearing light clothes is advised, especially if you are sitting in the grandstands. Also be aware that summer is the rainy season in beautiful Rio de Janeiro. Summer showers happen often, so bringing a raincoat and umbrella is also a good idea. If you are sitting in the grandstands, be advised that a large umbrella can obstruct the view of those seated behind and around you. The Camarotes, or luxury suites, are indoors and air conditioned. Should you secure a seat in a luxury box, you may choose to dress up slightly more than you would in the grandstands since the suites are where all the celebrites, politicians, business people and royals sit to enjoy the parades.